Many people are surprised to learn that you actually face two separate cases following an arrest for driving under the influence (DUI). The first case culminates in an administrative hearing during which the DMV will decide whether or not to suspend your license. This requires your attention just days after your arrest. The second case is your court case, where you can face additional penalties up to and including time behind bars. If you have been arrested for DUI, you need to understand that you are facing very serious consequences, and you need to act quickly. With offices in Pensacola, FL, attorney Michael J. Griffith helps individuals protect their driver’s licenses and avoid jail time and other penalties following DUI arrests. When you hire Michael J. Griffith, P.A. to represent you, you can count on two things: We will meticulously prepare your defense, and we will be just as concerned as you about the outcome of your case. Attorney Michael J. Griffith has over 35 years of experience fighting misdemeanor and felony DUI charges in Pensacola, Florida and throughout the Southeastern United States. Needless to say, these penalties can make it difficult to keep your job and provide for your family. If you are a military service member, government employee, commercial truck driver, doctor, attorney, or hold any of a number of other professional licenses or employment positions, a DUI conviction can even further impair your ability to maintain your present employment. At the Pensacola law offices of Michael J. Griffith, P.A., we will help you understand your options and the potential consequences of a conviction, and we will fight to minimize the consequences of your DUI arrest. In addition to cases involving alcohol, our Pensacola drug crimes attorney also handles DUI charges involving allegations of driving under the influence of marijuana, prescription medications, and other controlled substances. We can help you regardless of the circumstances surrounding your arrest. DUI charges are serious, so you need serious legal representation. 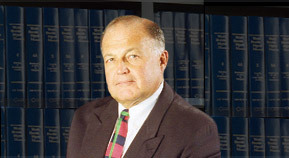 In a legal career spanning five decades, defense attorney Michael J. Griffith has helped countless individuals either avoid or minimize the punishment for their DUI arrests. For more information about what we can do for you, contact us to schedule a free consultation at our law offices in Pensacola, FL.